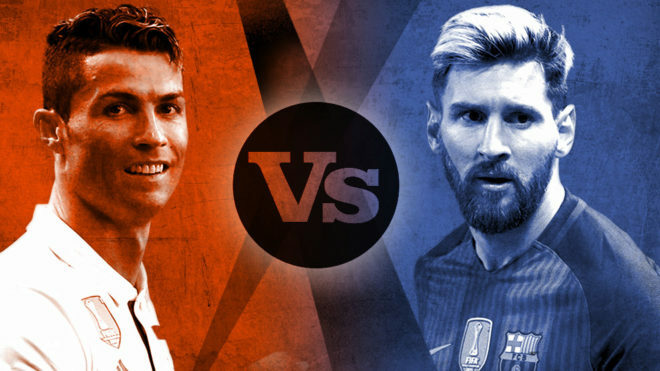 Cristiano Ronaldo and Lionel Messi remain locked in the battle to come out on top as the best footballer in the world. They break records year on year, with Ronaldo having sealed the best campaign of his career with a fourth Champions League winner’s medal. It takes his tally to four for the campaign, with the UEFA Super Cup, the Club World Cup and LaLiga already in his trophy cabinet this season. The winger’s fourth Champions League success draws him level with Messi, while he has also claimed the Champions League’s golden boot for the sixth time in his career. Messi remains on five. Messi has won 32 career titles, 30 with Barcelona, while Ronaldo has 24 to his name – 12 coming during his time at the Santiago Bernabeu. Messi has outdone Ronaldo in front of goal this season. The Argentine has found the back of the net 54 times – 37 of coming in LaLiga – to earn him the golden boot and his fourth top scorer’s crown in the Spanish first division. Ronaldo had a slow start, but has hit top form at the key part of the season to end up with 42 goals from 46 games, 25 in LaLiga. Ronaldo has notched up six braces – including in Saturday night’s Champions League final – and five hat tricks. Messi has 14 braces to his name, and neither of his two hat tricks came in the league. Both men are the leading scorers for their national sides. Ronaldo has 71 for Portugal and Messi has 58 for Argentina. Between the two of them, they have smashed most of the recent records in modern-day football and have both been labelled many things like gods. Ronaldo’s latest conquest of Europe with his Real Madrid brothers, however, tilts the balance in his favour to be crowned this year’s Ballon d’Or winner, clearly.